Plots is not all. Is it possible to become a farmer without land? Yes! Many vegetable crops can enrich the diet, if you equip the apartment on the windowsill home "plantation," for example, broccoli. Broccoli is an annual crop. Likes moisture, and light. To heat less demanding, heat above +25°C does not tolerate. It's the most undemanding and the most fruitful culture of all other types of cabbage. It, subject to certain conditions, even can be grown on the windowsill. It is a culture quite precocious. The first harvest will be ready in 40 days after transplanting. Head broccoli have a nice green color, quite large, about 500 g in weight. Indoors they will grow smaller, not more than 350 g.
A distinctive feature of broccoli is that after removing the Central head from the lateral buds begin to grow newer shoots that give a small weight (150-200 g) heads, which taste qualities are not inferior to large Central heads. For cultivation of broccoli in the home will need to first grow seedlings. Seedlings broccoli seeds are sown in late may, but you can grow a plant in the apartment all year round. Seedlings appear quickly – in five days. But to transplant into large containers the seedlings will be ready only in a month after sowing seeds. Great condition – no artificial supplementary lighting in the autumn and winter any vegetables in the apartment will not grow. When growing broccoli in the apartment the plant you will need quite a lot of light and moisture. Moreover, the moisture should be not only in the soil but in the air. You should choose varieties that are loyal to low light, better greenhouse. Home "garden" with broccoli will be OK on the windowsill, heated loggias and balconies that overlook the South and East sides. For every Bush broccoli will need at least a bucket of soil. Seedlings of broccoli grown in the fertile soils of loam, humus with addition of wood ash and coarse sand (half-liter jar). Before sowing seeds need to etch, to calibrate, to soak in an aqueous solution of micro - and macroelements, and sprout. Then sow in pots to a depth of 1.5-2 cm and sprinkle moist soil, not compacting. Until emergence, the soil temperature should be at +20...25°C. After germination, the pots should be placed in a very bright place. After the appearance and development of three true leaves, plant with root ball of earth are transplanted into large containers. After engraftment times a week you can start feeding the plants with a solution of mineral and (alternating) organic fertilizers. Broccoli is a variety of cauliflower. This plant is pretty well known to gardeners. Fans of the cabbage, this culture will have to taste. It is well settled in the middle zone of our country. This unpretentious cabbage, its cultivation does not cause much trouble. 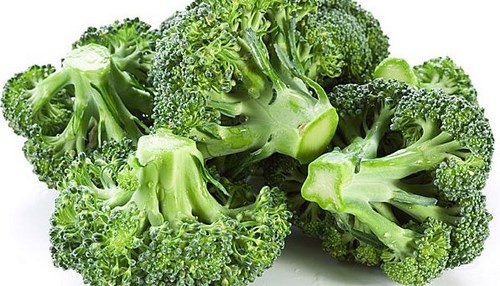 Beneficial broccoli differs from cauliflower in the content of vitamins and minerals. According to the presence of amino acids it equate to beef and lysine as protein chicken eggs. A protein that is located in broccoli can reduce the level of cholesterol in the blood. Broccoli can be grown seedlings and seeds. Soil better prepare in the autumn make organic fertilizer, lime, and dig. Seedlings of cabbage are sown in mid-March in a mixture of soil, sand, peat and compost in equal amounts. 40-45 days with the appearance of 5-6 leaves of seedlings can be planted in the open ground. Between the rows is sufficient 50-60 cm between plants is 40-45 cm In the wells, it is desirable to make half a Cup of wood ash. It is important when planting to the soil around the Bush was sealed. In soft ground they do not survive. Strengthen young plants can tolerate frosts as low as -10°C. When growing seeds planting scheme remains the same as in seedling method. If seeds were sown in rows, then you will need to thin out seedlings. Broccoli grows well with regular watering. Necessary weeding and fertilizing. Feeding usually made two weeks after planting the seedlings, and after heavy rains. The soil around the plants loosened and Spud. 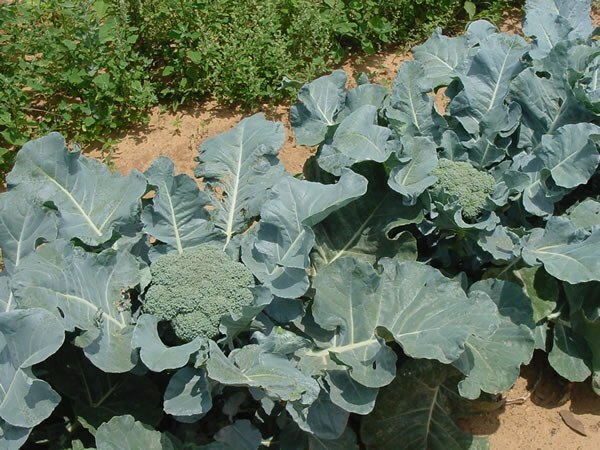 This kind of cabbage, quite resistant to many diseases and pests. In the summer to protect the plants from cabbage white, you can set it loose lutrasilom. Broccoli grows a lot of heads-inflorescences. It is important to cut them so as not to lose original flavor. Unlike cauliflower harvest of broccoli can take a long time. In the food use head buds and young stems of plants. To preserve the useful properties it is better to cook steamed or blanched for 5-7 min. Broccoli, or asparagus cabbage - one of the representatives of the cabbage family. Its closest relative is cauliflower. She, like broccoli, are edible not the leaves and unopened inflorescences. Broccoli seeds subjected to calibration by using sieves with a mesh size of 1.5 mm. Cultivation of the cabbage will be much more successful if you Wake up dormant in the seed germ. To do this, seeds are placed in a bag made of cloth and dipped in water with a temperature of 50 degrees for 15 minutes. After that, the bag 1 minute hold in cold water. For 12 hours seeds soaked in the mineral solution. You can use a product such as "EPIN-extra". Further, within days the seeds kept in the refrigerator. During this time, prepare the soil, which should consist of equal quantities of turf, peat and sand. The soil filled a shallow rectangular container. Buried seeds in the soil no deeper than the 1st, see otherwise the germination will be uneven. In open ground the seedlings are transplanted 35-45 days when the plants will be formed not less than 5-7 true leaves. Land prepared for planting in the autumn. The area, which seedlings shall be well-lit. The soil is dug up and populates it with lime or baking soda, how to grow broccoli in acidic soil very difficult. Every week, you should loosen the soil to a depth of 8 cm Periodically broccoli abundantly watered, as the plant belongs to the hygrophilous. During the growing season you need 2 times to do the feeding. First time fertilizers are applied 20 days after transplanting of seedlings in the open ground. 10 days later do the second feeding. Around the plant it is advisable to sprinkle the ground with ash to protect it from most pests and to prevent souring of the soil. Be sure to pull out all the weeds that inhibit the growth of broccoli. To remove head recommended until they are tightly closed. Typically, the diameter of the head in this case is 8-25 cm weight 400-600 grams. The cut heads should be along with the stem with a length of 10-20 cm, which can also be used as food. 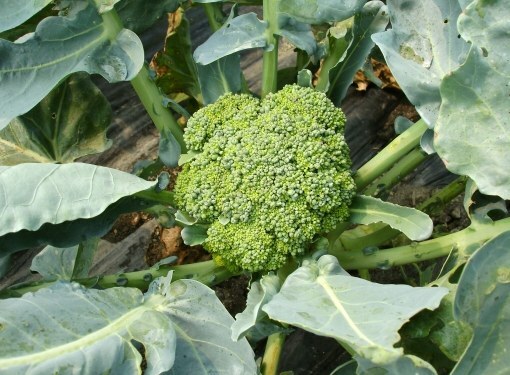 If harvest in the morning dew, broccoli heads for a long time will not wither. Keep the cabbage should be refrigerated no longer than a week.